It's refreshing to see full and natural looking eyebrows trending on the runway! 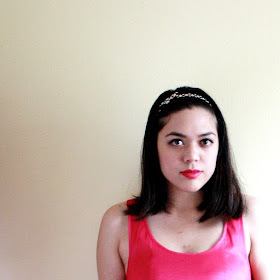 Gone are the days of my 16-year-old thin and slightly over-plucked eyebrows. I'm pretty low maintenance these days (a.k.a. a little lazy with my eyebrow routine), but I do try to maintain their natural shapes by only plucking the strays. For events and special occasions, I like filling them in with a little bit of dark brown eye shadow for some added definition (they show up better in photos that way!). Thankfully, I finally have the proper tools I need for defining my eyebrows! I was able to preview the new Best Sellers Kit by the celeb favorite brand, Billion Dollar Brows. It's perfect if you need the basics. Best of all, it's only $34.99 (a $68 value!) and will be available at Kohl's starting in October. Awesome. Here's my before and after, followed by a step-by-step tutorial using all the products. The Billion Dollar Brows Best Sellers Kit includes a universal brow pencil, a brow duo pencil (concealer and highlighter), a smudge brush, and brow gel. 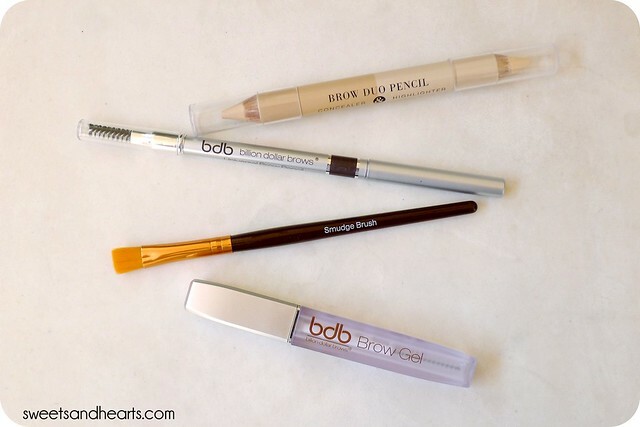 The winner in this kit is the universal brow pencil. Yes, universal! Seriously--it really did magically match my eyebrows. It's automatic (no sharpening!) with a spiral brush on the other end, and it glides on easily and smoothly. As for the concealer and highlighter, I found their formulas to be a little too thick, but they did blend easily. The smudge brush was simple to use, as was the brow gel--a little goes a long way. Use the brush end of the universal brow pencil to prep your eyebrows and comb them into shape. I skipped the concealer but went ahead with the highlighter. Dot it right underneath your arch (it applies thickly, so do so lightly!). Smudge the highlighter with your finger and blend into your brow bone. It will add a nice "lift". Use the universal brow pencil and carefully draw quick, small strokes along your eyebrows to mimic hairs, paying attention to sparse areas. 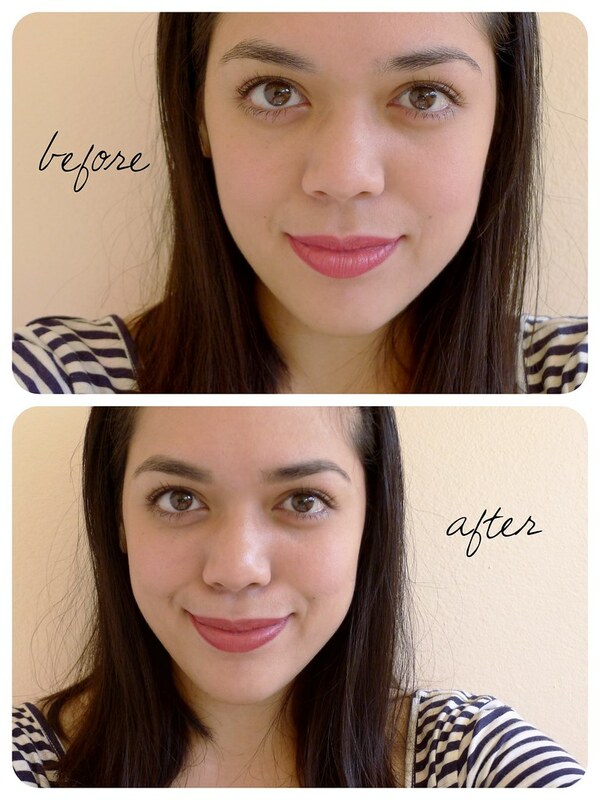 It's great for lengthening your eyebrow ends as well, if you need to elongate them or even them out. Tip: don't press too hard! They'll look more natural if you apply it lightly and work slowly. Add a little at a time, if you need to. Use the smudge brush to blend the brow pencil color with your own eyebrows. Apply a light coat of the clear brow gel to hold everything in place and you're done! I was so happy with how my eyebrows turned out. The kit was surprisingly easy to use, even for a novice like me. I even did my mom's. 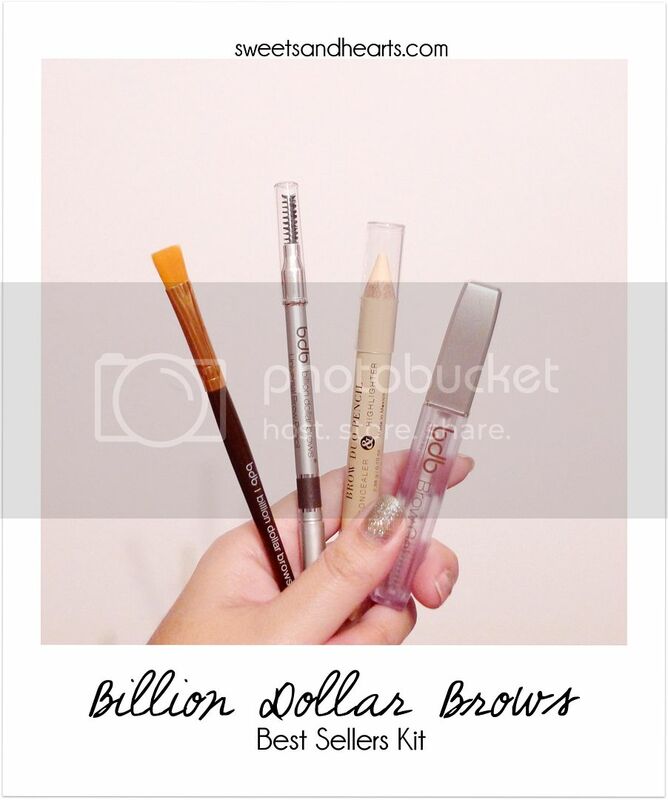 Don't forget, Billion Dollar Brows is launching at Kohl's next month, so don't forget to check them out! The Best Sellers Kit can be found here. 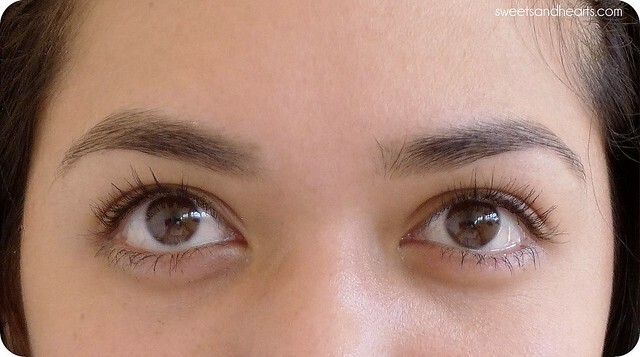 How do you maintain your eyebrows? I'd love to know about your routine! Also, any tips and tricks are greatly appreciated.